The GTX 780 Ti is quite the graphic card, Nvidia’s flagship to be precise, however the one thing it lacks in is its video memory. With a meager 3GB of VRam, the GTX 780 TI could not realize its true potential. Back before the GTX 780 Ti KingP|N was released, everyone assumed it would be 6GB but that was sadly not the case. However we have got word that Nvidia has completed preparations for the GTX 780 Ti Launch. 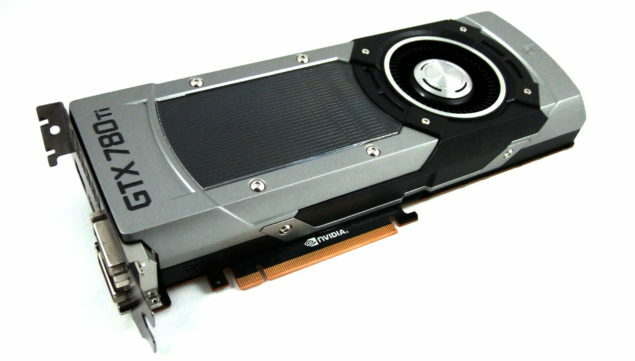 Nvidia Prepping the GTX 780 Ti 6GB Edition for Launch – Waiting for Titan Inventory to Clear Up. We have just received information that AIC Partners are waiting for the GTX Titan inventory to clear up. After that happens the GTX 780 Ti 6 GB will be released. The stock of the GTX Titan is already in a somewhat slow trickle state because of the launch of the GTX 780 Ti. We believe that one of the major reasons why no 6GB version has been released yet is so that people still have sufficient reason to buy the GTX Titan. According to our sources as soon as the GTX Titan Inventory Status clears up the 780 Ti 6GB Variant will start shipping. Of course 6GB of VRam will allow the 780 Ti to utilize its full potential. We have seen that the Ti’s 3GB Memory causes some serious bottle-necking in some games while in 4k Resolution. We see that the Current Gaming trend is moving towards a 4k Standard and where resolution is concerned, the more VRam, the merrier. Not only that, but with the increased VRam, SLI configurations should gain more power. Ofcourse, professionals would gain the most benefit from the added memory, but for some reason or the other , the 780 Ti is just not as good with Compute as the Titan is. We expect that the GTX 780 Ti 6GB Edition should start shipping in a short time span.